From the architect. 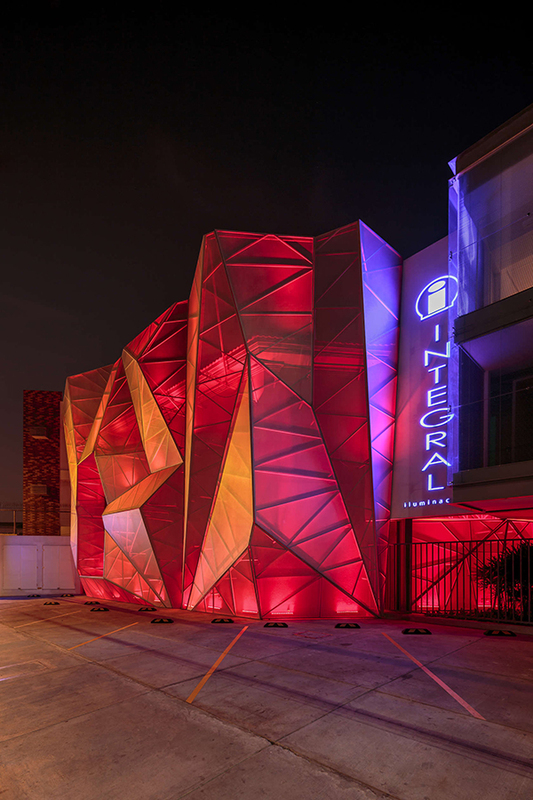 The Integral Iluminación commercial building oriented from north to south was developed in two diamond-shaped plots with a total area of 1050m2. 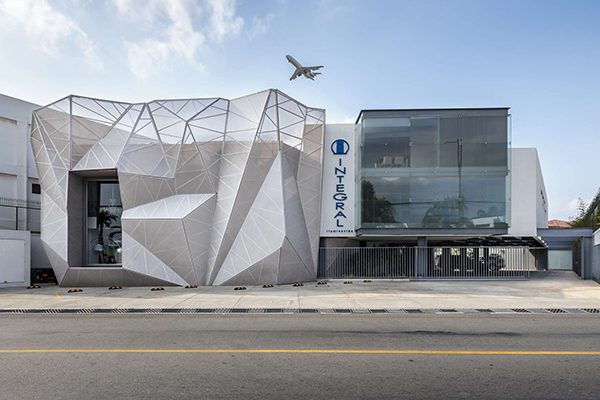 Designed for top of the line lighting and automatization system retailer, Integral Iluminación, Jannina Cabal Arquitectos created a cutting edge architectural program for the three-story building, which included the exterior structure for the left side of the existing building. This unique solution would act as an icon for the company. Over the existing building structure is a geometric tensile fabric solution. The pattern is decomposed into irregular triangles and is produced from a mixed-metal structure of steel and aluminum tubes wrapped in a medium gray tensile fabric developed specifically for outdoor use only. The perception of the building varies completely from day-to-night. During the day the tensile fabric facade is a visual element which does not compete with the glass cube of the expansion of the building, creating a homogeneous structure altogether. 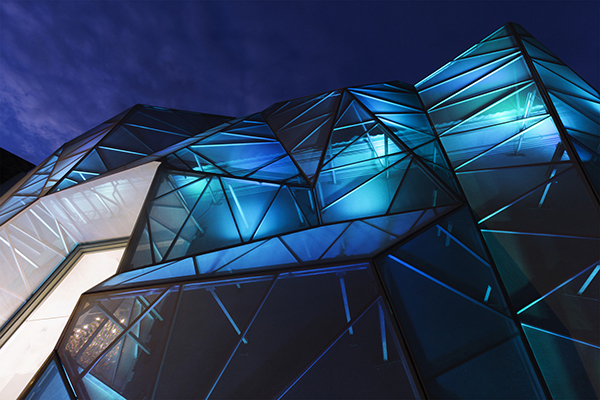 At night, colored lighting brings the left side of the building to life highlighting the metal structure and accentuating the three dimensional effect of the panels in a game of lights and shadows. The building is therefore transformed into a sculpture. 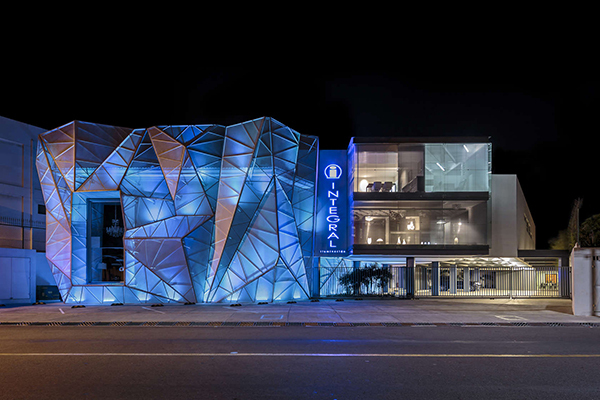 This mesh fabric, permeable to light, is lit with RGB LED reflectors which allows the facade to change colors. The reflectors are connected to an automatization system that controls the building to change through the night.